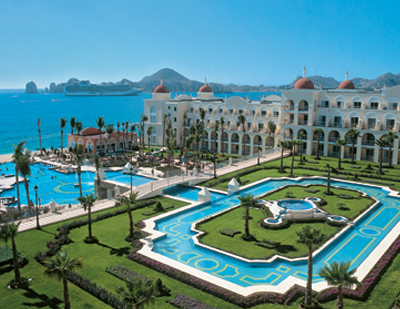 Conference Hotel: The Riu Palace Hotel is approximately 4 km outside of Cabo San Lucas and was the site of the inaugural Cosmology on the Beach in 2009. The conference package includes meals and lodging together for a special price. Hotel booking information has been sent to accepted participants. Arrival: The nearest airport is Los Cabos International Airport (SJD) with numerous nonstop and connecting flights to the US, as well as within Mexico. Most nationalities do not require an advance visa but obtain a tourist entry card from their airline (which needs to be kept until departure). If you are uncertain whether you need a visa, see http://www.inm.gob.mx/index.php/page/Paises_Visa/en.html. The exchange rate is roughly 12-13 Pesos = 1 USD (note both use the $ sign!). See Los Cabos Airport website for flight information and ground transportation. Shared ride shuttles are about US$16-23 one way and must be reserved in advance. The hotel is about 40 km away. Note that shuttle agents are outside the terminal; once you exit Customs you are still inside the terminal in the "shark tank" of time-share sales - ignore them even if they say they are from the shuttle company. Once outside you will see the real agents holding company signs to direct you to the right shuttle. Registration and Support: A conference table to pick up your registration packet will be near the hotel theater (on the level below reception) from 6-7pm Sunday evening. You can also pick it up at the conference room "Pacific" on Monday morning before the 8:30am opening session. Contributed Talks: Contributed talks are listed at Contributed talks. Talks are 12 minutes, must be in PDF format, and will be shown only from the conference computer. Posters are up for at least a day and there is a dedicated poster session - we encourage you to give a poster rather than a talk. Conference Program: The program agenda consists of four lecture courses of three hours each, five plenary talks of one hour each, and ample discussion, contributed talks, and poster presentation time. Discussions can continue over dinner at the speakers' tables.